With undergraduate and graduate degrees in marketing from Babson College and the University of Massachusetts at Amherst in hand, Ron Fishman joined the Peace Corps’ Small Business Development Program and was sent to Pasto, Colombia. It was there that his passion for working with the Latino population was born. For seven years in Colombia, Ron led initiatives that included the creation of seven urban and rural artisan cooperatives that provided employment and education to more than 200 women and girls. He also traveled throughout the region to consult with other co-ops and artisan workshops. After returning to the states, Ron began a 20 year career managing business development for high tech companies in Latin America, the Pacific Rim and Europe. In 2004, he returned to his most fulfilling work—employing his fluency in Spanish, cross-cultural sensitivity and business/community development acumen to the largely Latino community in Chelsea, Massachusetts. As a resident service coordinator for a property management company specializing in affordable housing, Ron provided a variety of social services to over 300 low income households. 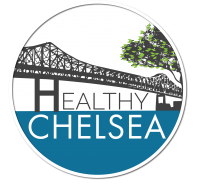 In 2011, Ron became the community coordinator for Healthy Chelsea. Perceiving food insecurity as a mounting crisis in the community, he had been coordinating the efforts of the Chelsea Hunger Network since 2008. This network of organizations offers food relief, and concerned residents educate and raise funds for local pantries and soup kitchens. Returning to his artisan experience, Ron has organized over 50 bowl painting groups since 2011 where over 500 people have created art for the annual Chelsea Empty Bowls fundraisers. 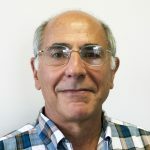 A longtime practitioner of Bohmian Dialogue, a methodology for building shared meaning in groups, Ron has trained staff at the Boys and Girls Club, youth, work and church groups and presented at workshops.